Explore Oakland’s diverse and rich patchwork of neighborhoods by cycling through them with an experienced guide from OMCA. 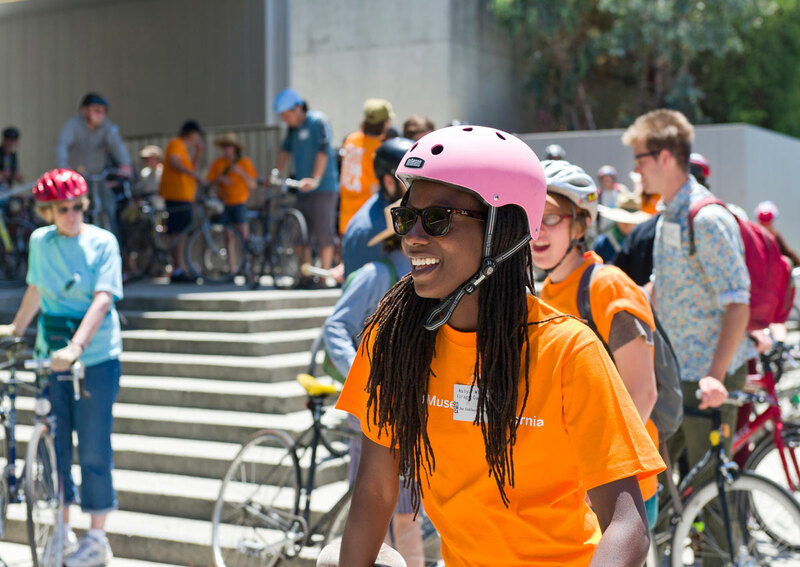 On select Sundays from June through October, OMCA Docents lead bike tours of Oakland, with a different theme each month. Explore African American History in Oakland on a special bike tour, held in collaboration with Walk Oakland, Bike Oakland (WOBO). Hear vivid stories illustrating African American life in Oakland over the last 150 years. Learn about the Pullman porters’ union, see historical Black Panthers’ sites, and visit other significant landmarks of African American History in Oakland. Meet in front of the Museum’s Oak Street entrance at 10 am. Bring your own bikes, helmets, repair kits, and water. Free for OMCA and Walk Oakland, Bike Oakland Members. $10 for non-members. Stay tuned for registration details. For more information, call 510-318-8470 or email docentcenter@museumca.org.